AIIMS M.Sc. Nursing 2019 Code Generation & Final Registration Dates has been Started on 2nd April 2019. AIIMS Nursing is referred to as All India Institute of Medical Sciences Nursing, and it is a national level entrance exam. The All India Institute of Medical Sciences, New Delhi manages the AIIMS nursing entrance exam. AIIMS M.Sc. Nursing 2019 Final Registration will be Starting on 2nd April 2019. This exam offer candidates admission in B.Sc nursing, B.Sc Post Basic nursing & M.Sc nursing courses. The AIIMS and its affiliated nursing institutions offer admission to candidates. In this article, candidates can get complete information on AIIMS Nursing 2019 including Exam Dates, Application Form, Fees, Eligibility Criteria, And how to apply procedure. Click Here for Registration of BSc Courses. Click Here for Registration of MSc Courses. Click Here to Check Extended Notices For Code Generation & Final Registration. 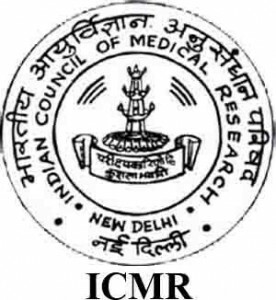 AIIMS PG Nursing 2019 Registration has been Started on 7th February 2019 ( For M.Sc Nursing). AIIMS Nursing M.Sc. 2019 Registration can be Filled till 4th March 2019. AIIMS Nursing 2019 Registration has been Started from 30th November 2018. Candidates can avail the AIIMS Nursing application form 2019 through the online mode on the official portal. The online AIIMS Nursing 2019 application forms can be filled and submitted until the 14th January 2019 (extended). Candidates have to enter all the details carefully. No modification will be allowed by the authority after submission of application form. After completing an application, candidates have to upload the scanned image of photograph, signature, and thumb impression in the prescribed format. After the successful submission of application form keep the printout of it. Candidates can pay the application fee through online mode as per category. Candidates can make payment through a payment gateway such as net banking/credit card/debit card. The application fee will be 1500/- for general and OBC category. SC/ST candidates have to submit Rs. 1200/- towards the application form fee. Physically handicapped and orthopedic category candidates are exempted from paying the fee. The application fee can be paid through online mode, i.e., credit card/debit card/internet banking. Candidates can get the eligibility criteria to appear in the courses offered through AIIMS nursing entrance exam in 2019. Age Criteria: Candidates must be 17 years as on 31st December 2019. Only female candidate can apply under this course. Qualifying Exam: Candidate must pass the 12th or equivalent exam with PCB and English subject combination from a recognized board. Minimum Marks: Candidates must score 55% marks for General/OBC (50% for SC/ST candidates). Qualifying Exam: Applying candidate should qualify the 12th or its equivalent exam from a recognized board. Diploma holders in General Nursing and Midwifery can also apply. Registration: It is necessary to be registered as Nurse, Nurse (RN), Midwife (RM) with State Nursing Council to apply. Qualifying Exam: Candidates should have a Bachelor’s Degree in B.Sc Nursing (Post Certificate)/Post Basic/B.Sc (Hons.) 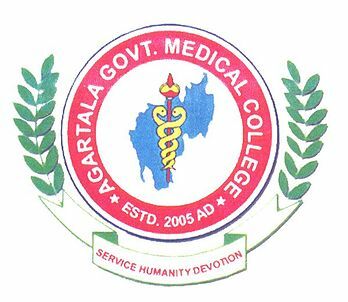 Nursing/B.Sc Nursing/MBBS/BDS/B.Pharmacy/B.V Sc to apply. Minimum Marks: The candidate should secure 60% General/OBC (55% for SC/ST) in the qualifying exam. To get registered application successfully, candidates need to fill the application form. AIIMS nursing 2019 application forms can be filled through online mode on the official website. Candidates must go through an information brochure before filling the AIIMS nursing 2019 application form. Go through the steps given below to complete the online form filling process. Click on ‘Click here’ button on new registration. After that click on the ‘Login’ button. Read the instruction generated on the next page. Click on ‘Proceed’ after reading all the instructions. Fill the details such as full name, Father Name, Mother name, DOB, Category, OPH Status, and Nationality, etc. After filling all the details click on ‘Save and Proceed’ button. Candidate Id and password will be sent to the candidate’s registered email ID. Now, candidates have to proceed for six steps. Click on ‘Registration’ button and fill out the registration details. After that click on ’Save and Proceed’ button. Now, fill personal details, contact details and accept the declaration and click on ‘Save and Proceed’ button. The payment page will be displayed on the next step. Click on ‘Make Payment’ and fill educational details, and address details and click on ‘Save a Proceed’ button. Now, a candidate will be redirected to a payment page. Pay the fee through any of the online options. Click on ‘Pay’ button and fill fee details and then click on ‘Confirm’ button. Also, print the fee details. After that click on the ‘Proceed’ button. You will be redirected to the ‘city choice’ page. Fill the city choice and go to the ‘Upload’ section. Upload the asked scanned images and print the registration form. For any other queries about AIIMS Nursing 2019 Application Form, you can leave your queries below in the comment box. I uploaded my photo,sign and thumbprint. A return mail from aiims requested to upload thumbprint due to incorrect format. After uploading in correct format confirmation mail hasn’t come till now. On its portal still final registration link is not open.